A new college scholarship fund for Central Minnesota students celebrates the legacy of a beloved school custodian. Jeff Schilling’s life was a gift to the students and teachers of Mary of Lourdes School in Little Falls. And thanks to a new scholarship fund, his spirit will continue to give to the communities he loved. You wouldn’t have blamed Schilling if he’d been gloomy. His career as a small-engine mechanic was cut short in the mid-1990s when he began to develop retinitis pigmentosa, a rare and degenerative eye disease that causes severe vision impairment. As a result, he became legally blind. But Schilling refused to give into darkness. He was able to work as a custodian at Mary of Lourdes, a job he took in 1997. There he became a ray of light to all who knew him—the kids whom he mentored, the adults whose spirits he lifted. One of his favorite expressions, “Life is good,” was picked up by students and teachers throughout the school. Starting and maintaining a philanthropic fund, even a relatively small one like the Schillings’, can be a sizeable task. By partnering with the Initiative Foundation, the Schillings were able to establish the Silver Lining Fund with relative ease. The Foundation manages the legal, administrative and investment chores, which frees up the Schillings to concentrate on gathering donations and directing distributions. The Silver Lining Fund continues to receive donations and support from a variety of areas. One of the most distinctive gifts is from Little Falls’ Starry Eyed Brewing Company, which is using hops that Schilling grew on his farm to create a new beer. It is donating a portion of the beer’s sales to the Silver Lining Fund. Community Partner Funds connect resources to people and organizations within a defined geographic area. This year marks the 30th anniversary of the founding of the Three Rivers Community Foundation (TRCF), which was launched in 1989. The first of the more than 120 funds that the Initiative Foundation hosts and manages, TRCF began as the Greater Elk River Area Foundation, changing its name a few years later to reflect its expanded service area, which now also covers Rogers, Otsego and Zimmerman. 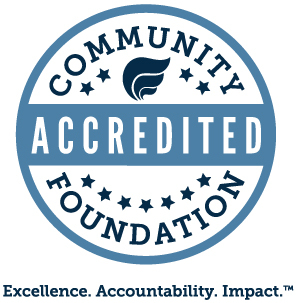 TRCF is a community Partner Fund, meaning it connects resources to people and organizations within a defined geographic area. Last year, TRCF provided more than $20,000 in scholarships to area students wishing to continue their education after high school. In 2018, it awarded $40,000 in grants to a diverse group of community enrichment activities, including education, youth programs and financial literacy. TRCF draws these awards from a growing endowment. Having crossed the $1 million mark with help from a $50,000 Initiative Foundation challenge match, TRCF is now marching toward a $3 million goal, with plans to expand the annual amount it gives for grants and scholarships to $100,000. Visit trcommunityfoundation.org to learn more or to make a donation. For more on how you can start an Initiative Foundation-hosted fund, visit ifound.org/philanthropy/our-funds. Thank you to our local sponsors for supporting IQ Magazine. View our Sponsor List..